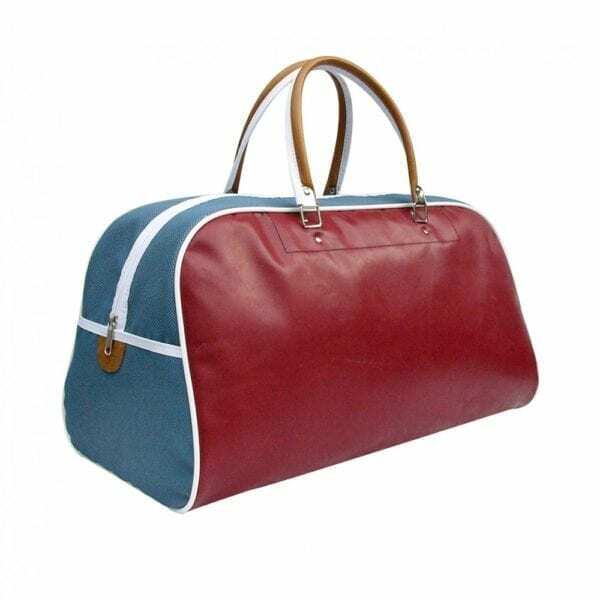 This large bowlingbag with cool primary colors is the perfect sport- or travelbag. 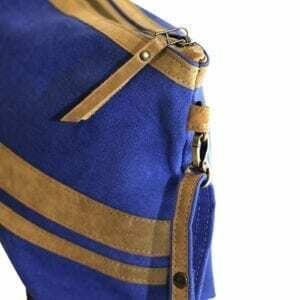 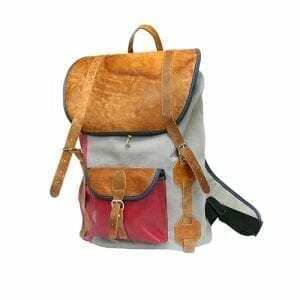 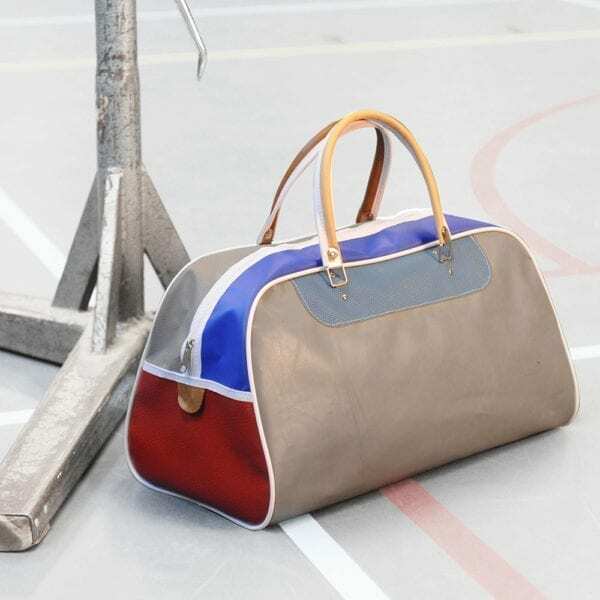 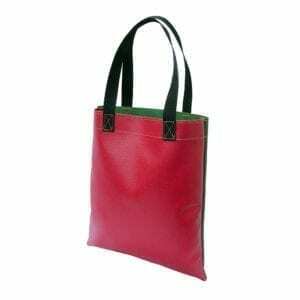 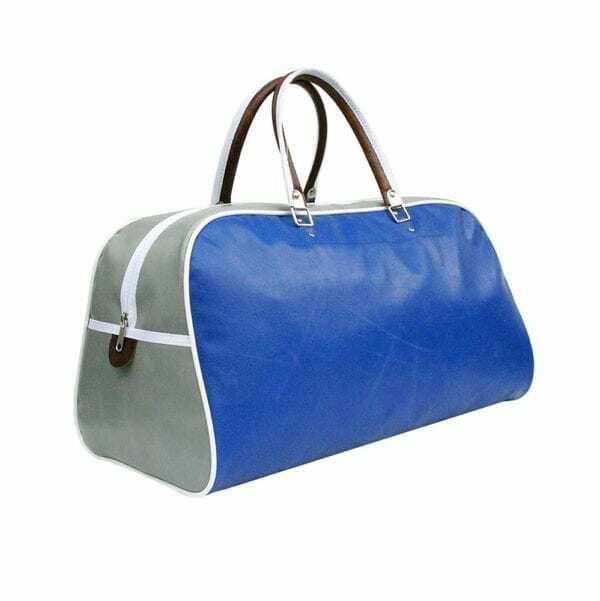 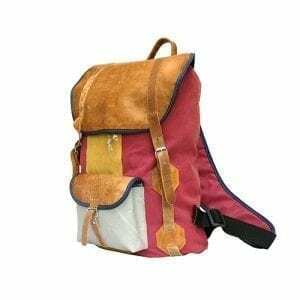 This bowlingbag is made of leather and fabrics from outdated sports materials. 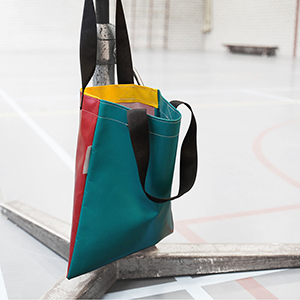 With this bag you purchase a very sustainable product! 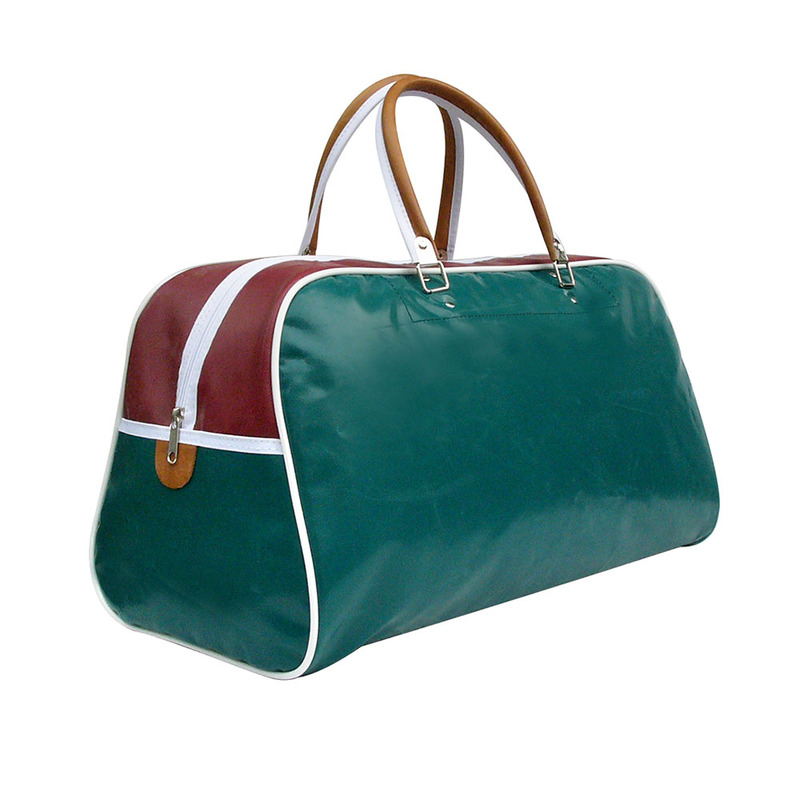 We have this bag in many unique color combinations. 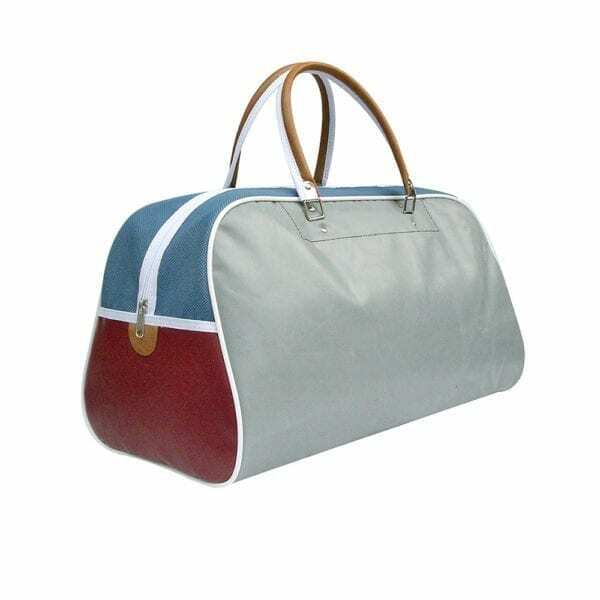 The bag is finished with a strong plastic bottom with caps, and short handels. 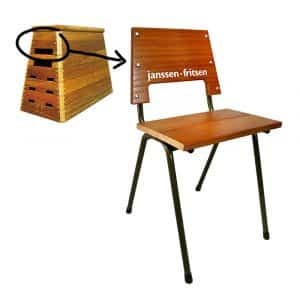 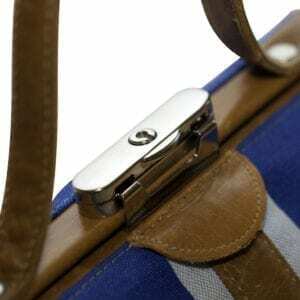 The bag has one box with zipper inside.